On Dec. 11, Whitworth announced its hiring of Forrest Buckner as the university’s next dean of spiritual life and campus pastor. Buckner will officially begin his new duties in July 2015. Buckner, a native of Boulder, Colo., earned civil and mechanical engineering degrees at Colorado School of Mines in Golden, Colo. He served as the Director of High School Ministry and then Director of Student and Family Ministries at First Presbyterian Church of Boulder. Buckner completed his M.Div. degree at Fuller Seminary in 2012, and then moved with his wife, Janelle, and three children to St. Andrews, Scotland, to complete his coursework in systematic and historical theology. 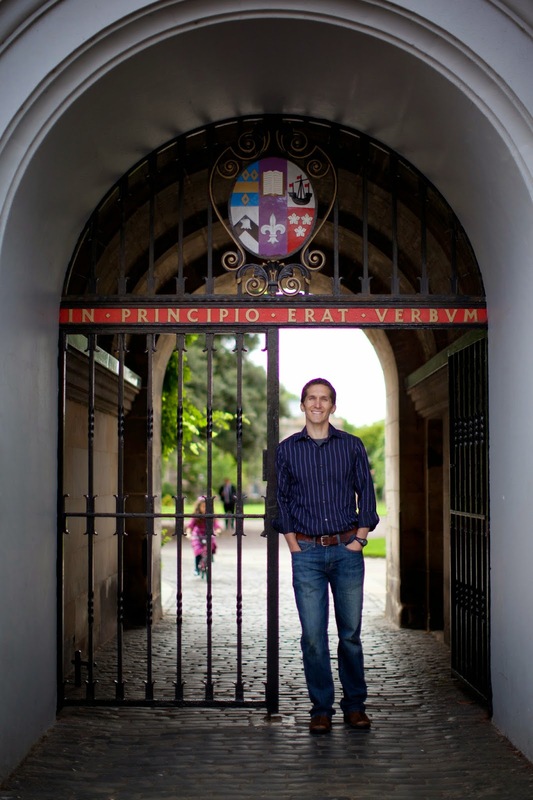 In July 2015 he will complete his Ph.D. in systematic theology from St. Andrews. Whitworth Vice President for Student Life Richard Mandeville, who chaired the search committee for the dean and campus pastor position, says that while there were many outstanding candidates, Buckner connected very well with students while visiting the campus and was able to address difficult issues with humility and a clear theological voice. “He possesses a pastoral warmth, a gentleness of spirit and a theological sophistication that we believe will be very effective in his role as dean of spiritual life,” Mandeville says. Buckner will replace longtime Dean of Spiritual Life Terry McGonigal, D.Min., Ph.D., who is now Whitworth’s director of church engagement. One of McGonigal’s new duties will be to administer the $1 million award that Whitworth received from the Lilly Endowment in 2013 to fund a comprehensive church engagement initiative called The Ekklesia Project. The goal of The Ekklesia Project is to enlarge and develop Whitworth’s ability to function as a catalyst, center and resource for conversation, envisioning, planning and programming. The project seeks to assist churches and other Christian organizations in the region as they discern how to be the church and conduct ministry in the cultural setting of the 21st-century Pacific Northwest. In addition to administering The Ekklesia Project, the office of church engagement will pursue opportunities to develop and deepen partnerships with Presbyterian denominations and with other expressions of the global church, and will also look to expand local and regional ministries. Located in Spokane, Wash., Whitworth is a private, liberal arts university affiliated with the Presbyterian church. The university, which has an enrollment of 3,000 students, offers 60 undergraduate and graduate degree programs. Connie McKnight, chapel program assistant, Whitworth University (509) 777-4345 or cmcknight@whitworth.edu.